BEIJING (Sputnik) - China agrees with Russian President Vladimir Putin's remarks on Beijing-Moscow relations in his annual address to the Federal Assembly, Chinese Foreign Ministry's spokeswoman Hua Chunying said Friday. 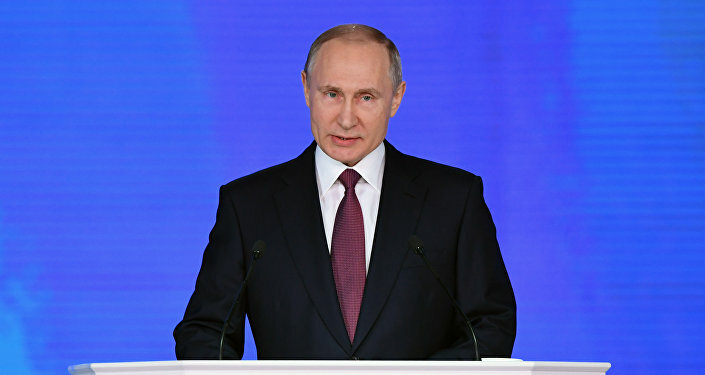 "I would also like to note that President Putin in his address stated that Russia had developed solid, friendly and equitable relations with the majority of countries in the world, with Russian-Chinese comprehensive strategic relations an example of such partnership. We agree with the high praise President Putin gave to Russian-Chinese relations," the spokeswoman stressed. At the same time, according to the spokeswoman, China has taken note of Putin's announcement of new types of Russian weapons, in the context of the release of the new US Nuclear Posture Review (NPR). "Speaking about how we assess the fact that President Putin in his address touched upon the development of new weapons, of course, we have paid attention to that. At the same time, we have also taken note of numerous media reports about the recently published new US NPR and the address to the parliament. We believe that in the modern world, development and peace remain important issues. The efforts of all the countries are needed to ensure the international strategic stability," Hua said at a briefing. On Thursday, Putin, while addressing the country's parliament, spoke of the latest weapons received by the Russian armed forces. Meanwhile, in early February, the US Department of Defense issued its Nuclear Posture Review (NPR). The document said that while the United States was reducing its nuclear arsenal, China and Russia were taking efforts to build on their nuclear weapons. In order to discourage both Russia and China, Washington has called for its nuclear deterrent to be strengthened. 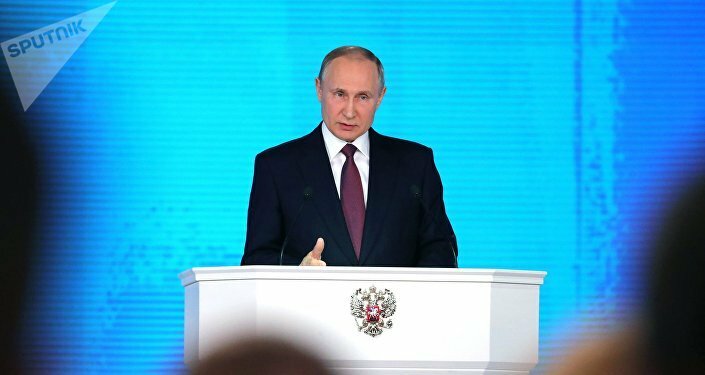 In his speech, Putin said that the Russian strategic nuclear forces had received 80 new intercontinental ballistic missiles, 102 submarine-launched ballistic missiles and three Borei-class ballistic missile submarines. In addition, Putin pointed out that over 300 new pieces of military equipment had been received by Russian forces since 2012. Moscow has stated on numerous occasions that all the work being done to strengthen Russia's defense capabilities was in compliance with the country's obligations under international agreements. According to the Russian leadership, the development of new weapons does not pose any threat to foreign states and is a necessary measure given the deployment of the US missile defense systems around the world and, in particular, near the Russian borders.